Seating is available for groups of 3 ONLY. You must be part of a group of 3 people to purchase. 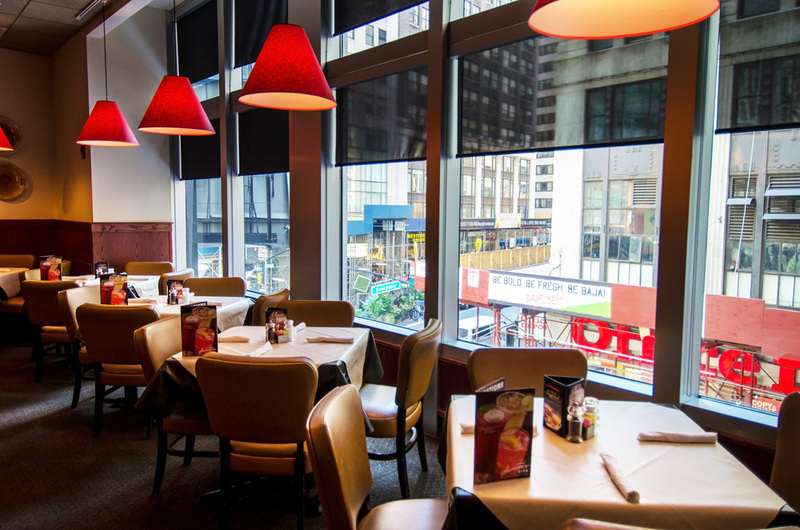 Come ring in the New Year at Times Square’s massive Ruby Tuesday. 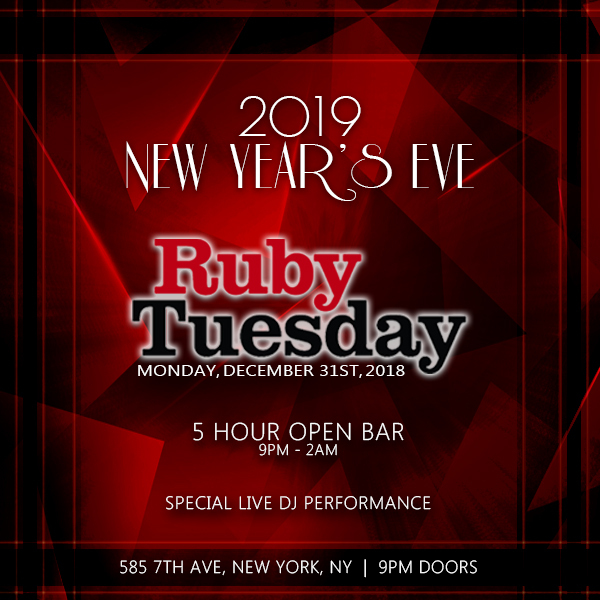 New York City’s epic Ruby location hosts a sprawling, two-level party with all the drinks, food, and dancing you’ve dreamed of - at the base of the New Year's Eve Ball Drop, right in the heart of NYC’s Times Square excitement. This New Year’s, say “Hello” to Ruby Tuesday…and the best event of your life. Served from 9 - 11 PM throughout entire restaurant to all guests. 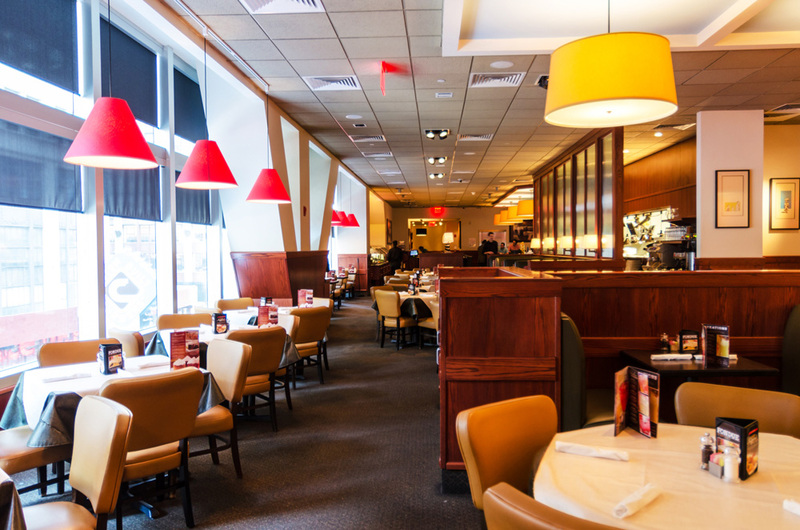 This service will provide a selection of Ruby Tuesday's Sampler Platters, served family style on the table. This will be in addition to the passed appetizers from above.